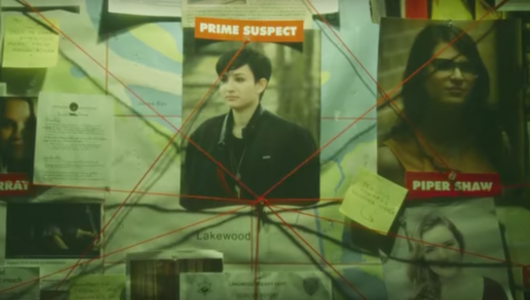 Last week on Scream, Audrey (Bex Taylor-Klaus) was identified as the chief suspect by Noah (John Karna). Emma (Willa Fitzgerald) wanted nothing to do with this theory. 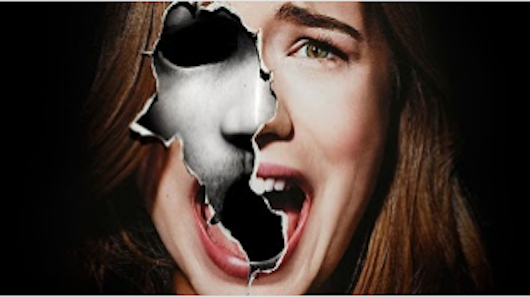 She continues to see the killer when she is alone, which leads others to wonder if she is seeing anything at all, or having PTSD driven delusions. We know that there is someone stalking the Lakewood 6 and killing people again. Jake (Tom Maden) is dead, his blood drenching his girlfriend Brooke (Carlson Young). Brooke’s former flame, Mr. Branson (Bobby Campo), is the latest victim of the killer, being tied to a bed and having his hand cut off. After the discovery of Jake’s body, the Lakewood 6… make that 5, along with the rest of the students, were put on lockdown inside Lakewood High. Kieran (Amadeus Serafini) was freaked out because he had a gun concealed in his locker. He gets himself out of the situation by doing the least boyfriendy thing ever, by telling the cops Emma (Willa Fitzgerald) has Jake’s phone on her. Suffice to say, there is tension in their relationship. Audrey (Bex Taylor-Klaus) meanwhile, was convinced that Stavo (Santiago Segura) is the killer, ya know… since he enjoys drawing the Lakewood 6 in gruesome death mosaics on his tablet. 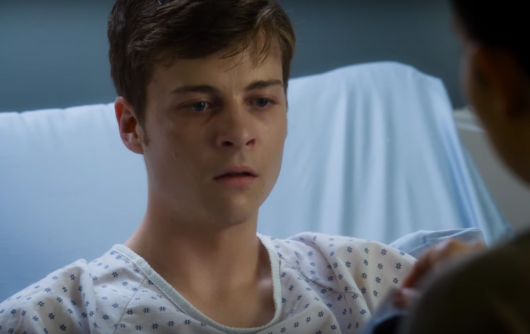 She is scrambling since she is the one who has been in communication with the actual killer, a fact Noah (John Karna) picked up on. He “borrowed” her phone and discovered the surveillance video of her with Jake’s body. Was she Piper’s accomplice? Is she the killer? What does this mean for Bi-Curious and the Virgin??? 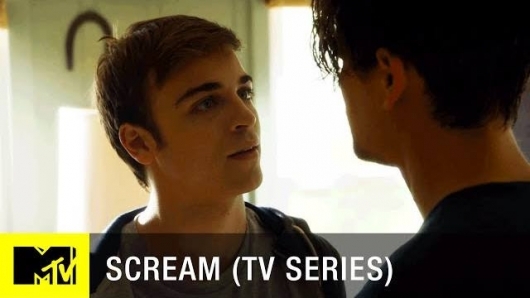 Last week, Scream finally hit its stride with the best episode of the new season. After “Jake” left a bottle of expensive tequila on the porch for Kieran’s birthday, everyone drank and went on a crazy hallucinogenic trip. The killer spiked the bottle and set about attacking Emma (Willa Fitzgerald), except good ole dad (Tom Everett Scott) showed up right in time. Brooke (Carlson Young) had visions of Jake (Tom Maden) dancing through her head, which was better for her then what happened later, as the Lady of Lake finalists reveal was interrupted by a Carrie-esque blood shower and Jake’s lifeless body falling to the school stage. Now everyone knows and sees that the killing has not stopped and someone has taken up Piper Shay’s mantle. In the tradition of the season, all the episodes are named for classic horror films, tonight’s titled Dawn of the Dead. 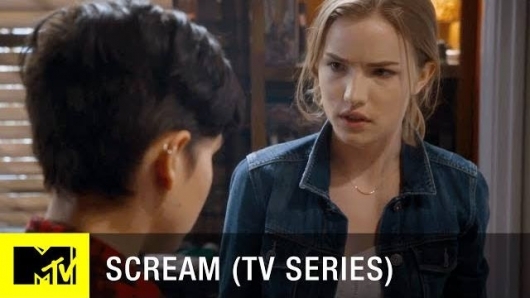 Last week in Scream… no one died. However, a corpse was found, so that counts. Audrey (Bex Taylor-Klaus) was communicating with season 1 killer Piper Shaw, so tried to clean up her tracks. When Noah (John Karna) told her about a secret storage unit Piper kept, she snuck off to investigate alone and found the disemboweled corpse of Jake (Tom Maden). Not knowing her boyfriend was dead, Brooke (Carlson Young) was preparing for a romantic night out with him. And Emma (Willa Fitzgerald) seemed to find the cure for her PTSD with a tryst with Kieran (Amadeus Serafini). However, her walk home was interrupted by a driver giving chase, who turned out to be her long lost father Kevin (Tom Everett Scott).